This tunic is the perfect garment for transitioning from early spring to summer and even into fall. Knit with 1125 (1125, 1345, 1565, 1785) yds DK-weight yarn using U.S. size 5/3.75mm needles and U.S size G/6/4mm hook. 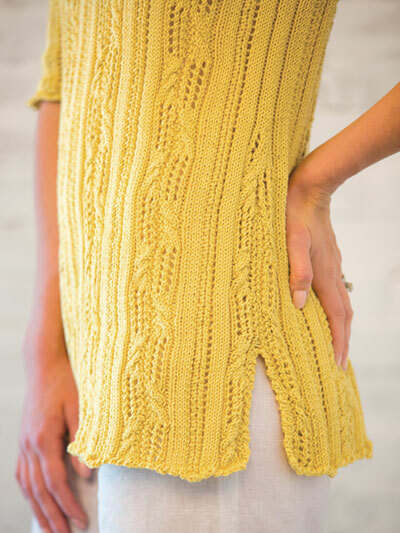 Design was originally published in Creative Knitting magazine Spring 2018. Chest: 37 (41, 46, 50, 55 1/2)"
Length: 28 (28, 28 1/2, 28 1/2, 29)"